First there was Perdomo Reserve Champagne (Connecticut shade); then there was Perdomo Reserve Champagne Noir (maduro shade); finally, Perdomo Reserve Champagne Sun Grown completed the full trifecta in 2013. As the name states, Perdomo Reserve Champagne Sun Grown boasts a rich, natural sun-grown wrapper. This is a stunning leaf that is grown from Cuban seed in Nicaragua's northernmost Jalapa growing region. Like all Perdomo Champagne cigars, the Sun Grown features Nicaraguan-grown leaves throughout the binder and filler (the same interior blend used on the original Champagne cigar). 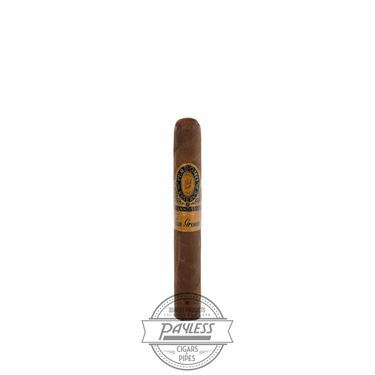 With a medium-plus body, this is the perfect choice for fans of Perdomo's Champagne series, as well as the company's retired Perdomo Reserve Sun Grown cigar. Expect rich flavors of leather, zesty cabinet spices, citrus, natural tobacco, and a touch of baker's cocoa.